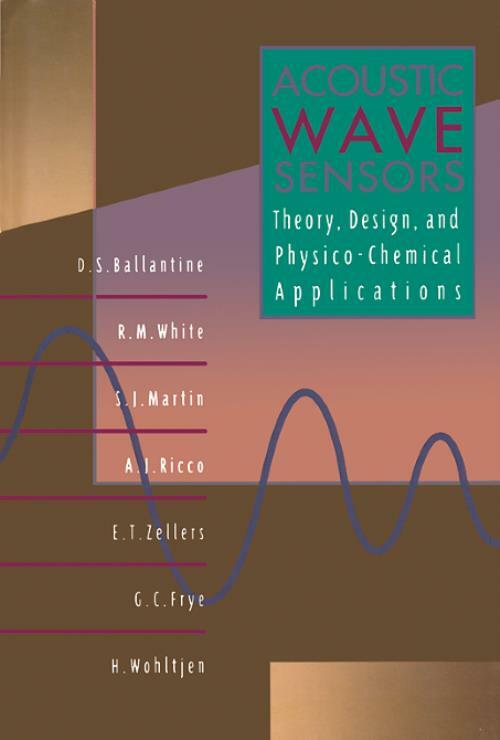 Written by an interdisciplinary group of experts from both industry and academia, Acoustic Wave Sensors provides an in-depth look at the current state of acoustic wave devices and the scope of their use in chemical, biochemical, and physical measurements, as well as in engineering applications. Because of the inherent interdisciplinary applications of these devices, this book will be useful for the chemist and biochemist interested in the use and development ofthese sensors for specific applications; the electrical engineer involved in the design and improvement of these devices; the chemical engineer and the biotechnologist interested in using these devices for process monitoring and control; and the sensor community at large. Why Acoustic Sensors. Fundamentals of Acoustic Wave Devices. Acoustic Wave Sensors and Responses. Materials Characterization. Chemical and Biological Sensors. Practical Aspects of Acoustic-Wave Sensors. Subject Index. Reduced Index Notation. Mechanical Properties of Selected Materials. Piezoelectric Stress Constants. Properties of Several SAW Substrate Materials. Acoustoelectric Properties of Several SAW Substrate Materials. Moduli Associated with the Strain Modes Generated by a SAW in an Acoustically Thin Film. SAW-Film Coupling Parameter and Phase Angles for SAW Propagation in the X-Direction of ST-Cut Quartz. FPW Density Determinations for Low-Viscosity Liquids. Gravimetric Sensitivities of Acoustic Sensors. Qualitative Comparison of Acoustic Sensors. Typical Mass Sensitivities of Acoustic Wave Devices. Classification of Coating-Analyte Interactions and Approximate Energies. Adsorbent Materials and Typical Adsorbates. Adsorption Capacities of Organic Vapors on Activated Charcoal. Examples of Adsorption-Based Acoustic Wave Sensors. Sorption Capacity of Natural Rubber for Several Organic Solvents. Typical Examples of Polymer-Coated Acoustic Wave Sensors. Examples of Biochemical Acoustic Wave Sensors. Cluster Classification of Coatings for Use in a TSM Sensor Array. Center Frequency and Dimensions of Commercial TSM AT-Quartz Resonators. IDT Design Parameters for ST-Quartz-Based SAW Sensor Devices."